Event organizers can expect a windfall as companies boost their spending on face-to-face, according to Reuters. The windfall comes at the expense of publishers reliant for revenues on companies' ad dollars. 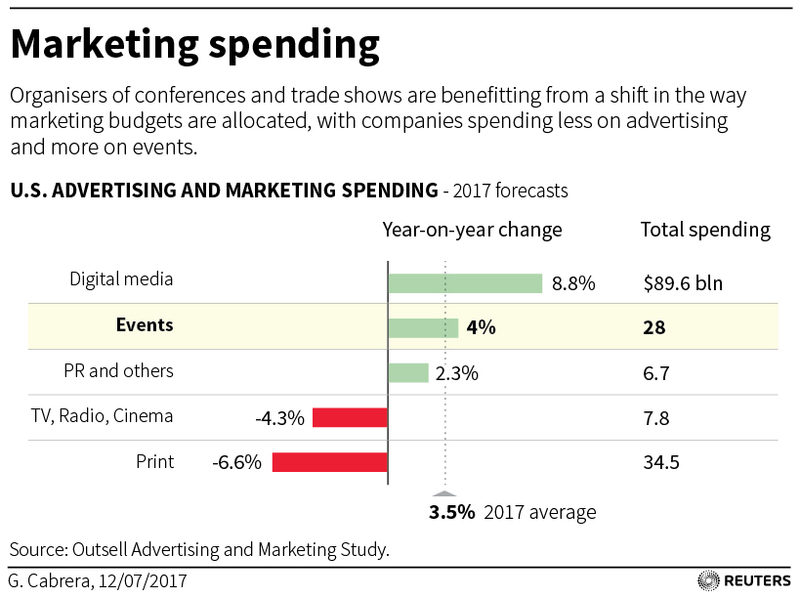 "Organizers of conferences and trade shows are benefiting from a shift in the way marketing budgets are allocated, with companies spending less on advertising and more on events," write reporters Esha Vaish and Noor Zainab Hussain. Research firm Outsell pegs the spend for B2B events by US companies this year at $28 billion, a 4% increase over 2016. 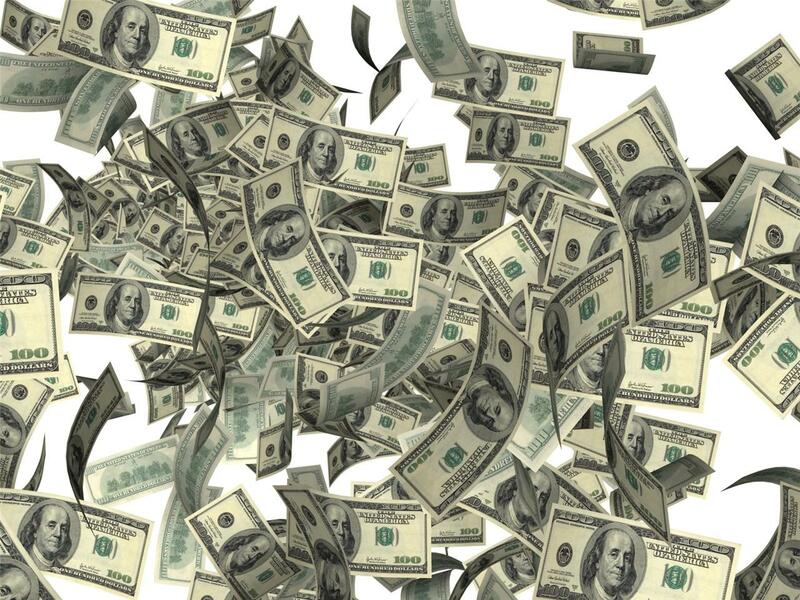 US companies will spend $35 billion on ads this year, a 6% decrease. "While the battle between traditional and online media outlets has grabbed headlines, companies are often skeptical that advertising with either translates into sales," write Vaish and Hussain. "Hence the shift towards events." 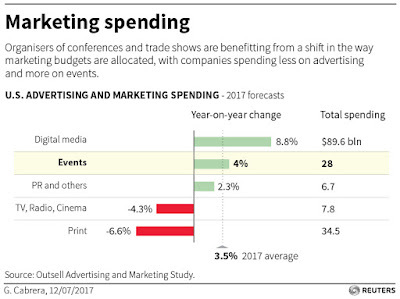 While conferences' and trade shows' prospects are closely linked to the economic health of the industries they serve, the shift of marketers' dollars to events offsets revenue losses due to other factors, such as government-imposed travel bans.